Lately, it seems as if video is threatening to completely take over the world of online content. Chances are, your nonprofit has at least experimented with video, or may be using it as often as time and costs allow. Here are a few tools and suggestions to help you incorporate video as part of a comprehensive engagement strategy. We recently focused on the power of visuals as a nonprofit storytelling superpower, exploring how organizations (dotOrgs, if you will) can use the different types of visual media effectively, including video. Video, however, is its own storytelling medium, and it can seem overwhelming, especially to a small nonprofit. 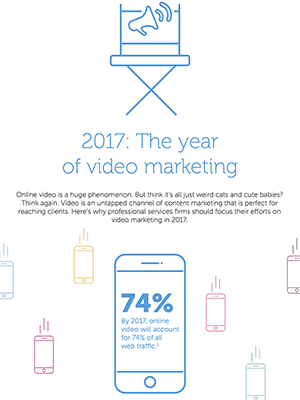 A few statistics compiled by HighQ about current and anticipated online video usage. 19% Boost in email opens with word "video"
From carefully crafted movies on video hosting platforms like YouTube and Vimeo, to off-the-cuff live streams on social media platforms like Facebook, Instagram, and Snapchat, to media-rich websites, video usage is on the rise…and with good reason. People love it. They can’t help but watch. As mobile and desktop bandwidth has increased, live streaming video has been on the rise. There’s something about being able to share a moment with friends or organizations near and far that creates a sense of connection, and the importance of a live “event” not to be missed. As a bonus, the videos created live are often easily repurposed as content for other platforms. As mobile and desktop bandwidth has increased, live streaming video has been on the rise. There’s something about being able to share a moment with friends or organizations near and far that creates a sense of connection, and the importance of a live “event” not to be missed. Creating original narrative videos can seem like the most daunting task. Fortunately, there are many tools available that make it easy to create fun and engaging videos. Many even have music libraries built in that you can use to set the tone or keep things moving. The toughest part may actually be just writing the script. Sometimes, the easiest way to explain something is to just show it. From training your volunteers on how to edit your website or use your email platform, to demonstrating your new website to potential donors, to recording slideshows right off of your desktop, a good video screen capture program can save you a lot of time. There are a number of tools dedicated to this use. We like Screencastify because it has a free version, is really flexible, and can record your video camera at the same time so people can see you as you present what’s on your screen. What if you could send an email to your supporters and they could just play it right in the email, with a button to “donate” or any other call to action? Well, you can’t. At least not reliably, just yet. Video in email is still an evolving technology, but one that has been on the wishlist for marketers and communications professionals for years now. BombBomb is pushing the way forward in this realm, with a full marketing system and tracking built in, but it’s not cheap. Introduce what you do, how your program works, and the impact it makes. Of course, any page where you want people to spend time is a good opportunity to use video. Show off how your organization is improving the lives of your beneficiaries. 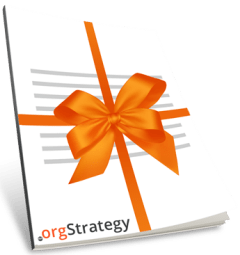 One of our nonprofit websites has a special video that comes up after a person donates, with beneficiaries thanking them for the donation and encouraging them to share the cause with others. As another option, if you have the resources, create send personalized videos for each major donor for the personal touch that will make them feel even more connected. Videos have been shown to increase donation rates dramatically versus a photo. Don’t just play videos at your events, stream them live for those that can’t attend, and create a version you can repurpose for your website and social media, as well. Video conferences , webinars and pre-recorded screen captures are great for reducing training time and increasing effectiveness. Personal accounts of the work that you do and the effects that it has are incredibly powerful. These can be used throughout your website and social media, not just on your donate page. As the statistics at the top of this article show, people are much more likely to open and click on emails that contain video (or even the promise of a video). So give your donors what they want, and they might just pay you back in kind! This should go without saying, but it’s worth saying anyway. Social media platforms (and the people who use them) love video. Want help with these strategies or other ways of increasing your impact? We’re happy to help. Our course offers a great way to think about (and execute on) your online goals. Visuals: A Nonprofit Storytelling Superpower Should You Crowdfund for Your Nonprofit or Cause?